I’ll leave it to his contemporaries to write the perceptive, insightful, emotional stuff. ET has collected a list of tributes here. There’s also the ever brilliant WSC forum too. In James Brown’s piece he says “Anything loud or unhip became his domain” which seems particularly astute in the context of the few measly scraps I can offer. 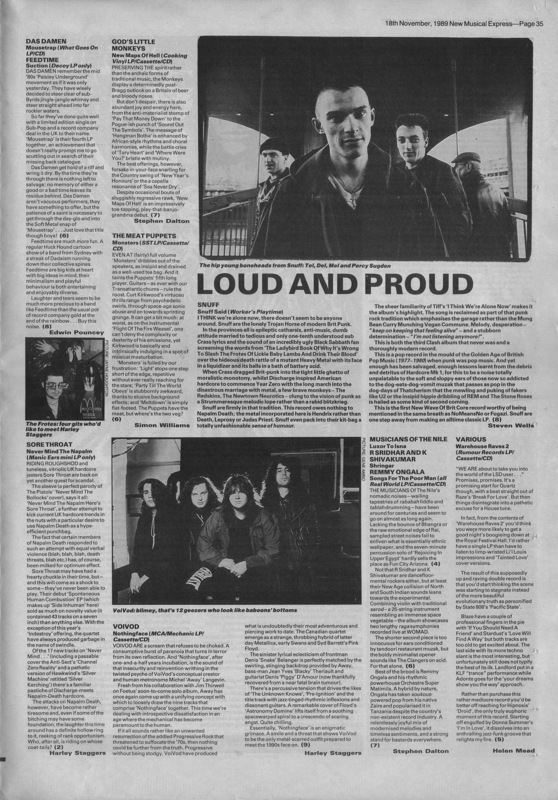 Carter USM, Jesus Jones and finally, perhaps fittingly, Snuff. 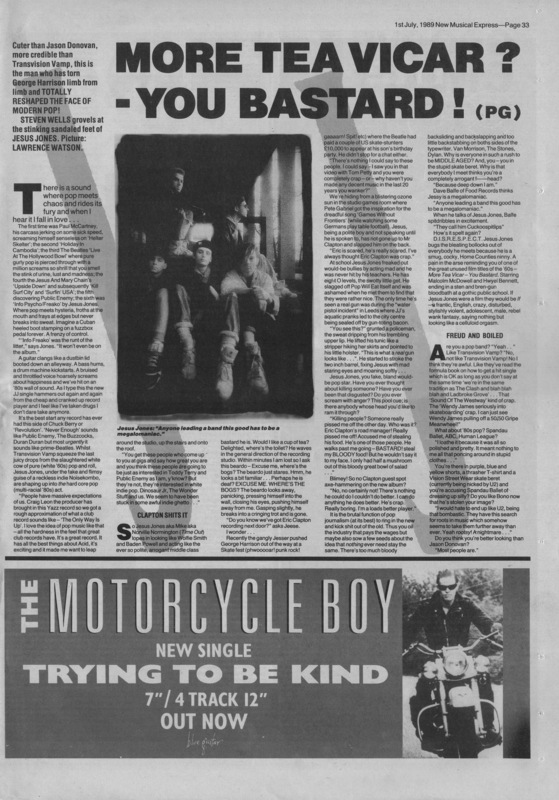 Steven Wells interviews Jesus Jones, 1st July 1989. Photo Lawrence Watson. Filed in Advertisements, Interviews, Music Reviews, N.M.E. 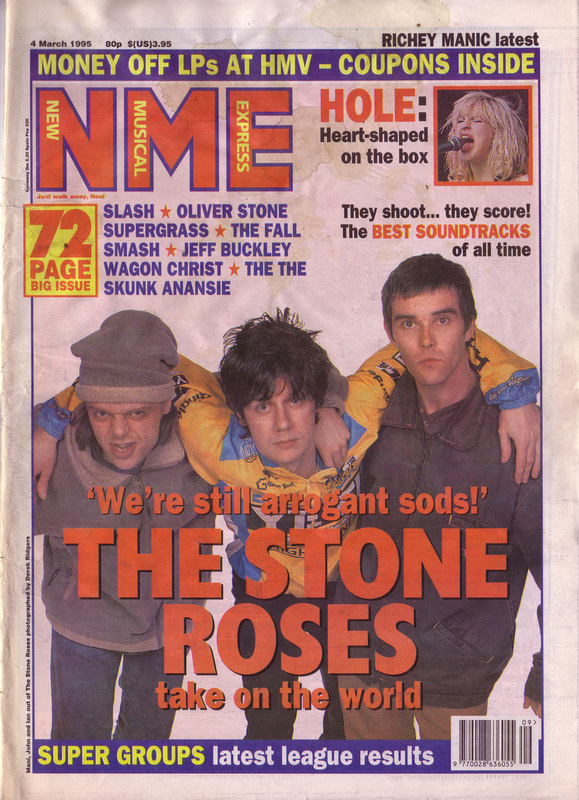 The Stone Roses on the cover of NME, 4th March 1995. Photo by Derek Ridgers. 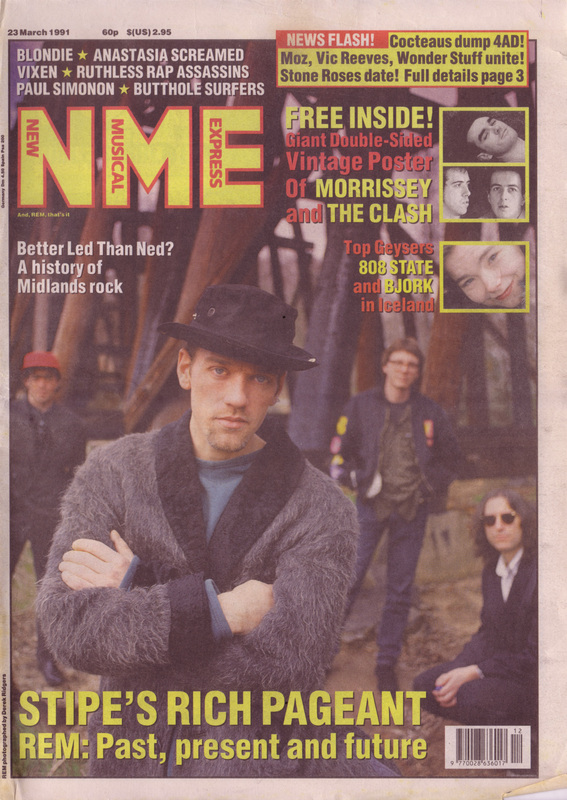 REM on the cover of NME, 23rd March 1991. Photo by Derek Ridgers.